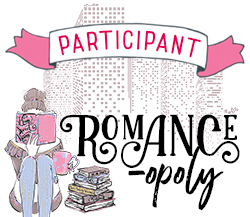 Well, a lot of romance books would fit this one. Since it’s Christmas I’m going to go with a Christmas book, An Ex for Christmas by Lauren Layne. This is a really sweet friends to lovers Christmas romance about a girl who is told by a psychic that she has already met the man she will be with forever so she assumes it’s one of her exes. Turns out it’s her best friend who’s madly in love with her! I’m not entirely sure how to interpret this one. I’m taking it as someone who feels like there’s something missing from their life so I’m picking Touch the Dark by Karen Chance. 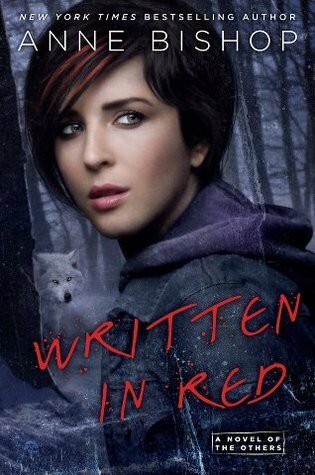 This is the first book in Chance’s Cassie Palmer series which is about a clairvoyant young woman who becomes the supernatural world’s chief seer. I picked her for this one because she lost her family at a very young age and ended up alone and on the run from a vampire mob boss. She’s left feeling distanced from human connection and loving relationships and she strives to change this as an adult. Cassandra Palmer can see the future and communicate with spirits-talents that make her attractive to the dead and the undead. The ghosts of the dead aren’t usually dangerous; they just like to talk…a lot. I could really say Cassie Palmer for this one too cause she has a very loyal ghost sidekick which is the perfect answer for this one but I’ll pick another book. 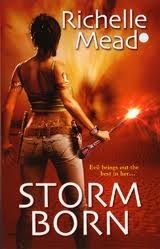 Ok, I’m going with Storm Born by Richelle Mead. This is the first book in Mead’s Dark Swan series which is an urban fantasy series that centres on the fae. The main character, Eugenie Markham, is a powerful shaman working as a mercenary. Her sidekick isn’t exactly loyal but he obeys orders. She has enslaved a demon to do her bidding who swears he will decapitate her the second he’s set free but, hey, he does what he’s told. For now. Ok, I was going to pick a demon or some other devilish bad guy for this but I’ve decided to go with Written in Red by Anne Bishop. This is the first book in Bishop’s The Other’s series which follows the mostly preternatural residents of the Lakeside Courtyard. In the world of this series, supernatural creatures are dominant over humans which the humans are not too happy about. This series really shows just how wicked and cruel people can be especially when they’re hungry for power. Oh, my god, I live by weird and creepy! 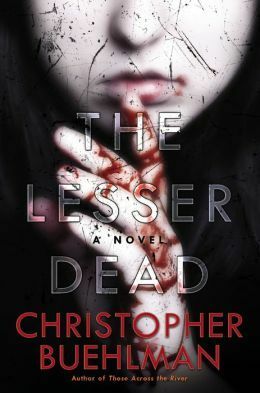 It took me a while to pick something for this but I settled on The Lesser Dead by Christopher Buehlman. This book is set in 1970’s New York and follows a group of vampires who live in abandoned subway systems under the city. It’s horror, not urban fantasy and has some of the creepiest vampires I’ve come across. They are vampire children that terrorize the vampires already in the tunnels. The secret is, vampires are real and I am one. New York City in 1978 is a dirty, dangerous place to live. And die. Joey Peacock knows this as well as anybody—he has spent the last forty years as an adolescent vampire, perfecting the routine he now enjoys: womanizing in punk clubs and discotheques, feeding by night, and sleeping by day with others of his kind in the macabre labyrinth under the city’s sidewalks. The subways are his playground and his highway, shuttling him throughout Manhattan to bleed the unsuspecting in the Sheep Meadow of Central Park or in the backseats of Checker cabs, or even those in their own apartments who are too hypnotized by sitcoms to notice him opening their windows. It’s almost too easy. Until one night he sees them hunting on his beloved subway. The children with the merry eyes. Vampires, like him…or not like him. Whatever they are, whatever their appearance means, the undead in the tunnels of Manhattan are not as safe as they once were. And neither are the rest of us. 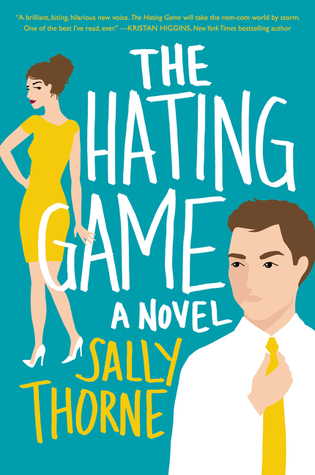 This one has to be The Hating Game by Sally Thorne. It gave me all the warm fuzzies! It’s sweet and funny and has such a perfect happily ever after ending. If you’re ever feeling glum, pick it up! 2 – How long have you been on Booktube? 3 – What types of videos do you make? 4 – What do you love about booktube? 5 – What types of books do you read? 6 – What’s is your favourite video that you’ve made? 7 – TAG at least 4 small booktube channels or EVERY small channel you can think of!